Theo Martainn Brown (born May 27, 1992), better known by his stage name Martainn, is an British Hip Hop, Grime & Soul recording artist and songwriter from Manchester, England. Martainn first received recognition locally around 2011, Releasing a mixture of songs and videos along with his first mixtape in 2013 titled “Daydreamer” which helped build a foundation and a understanding of where he wanted to take his music next. From an early age like most artists Martainn was drawn to music being exposed to a wide variety of genres through his family, friends and by individually exploring different styles of music himself. Martainn is now on a journey to make the best possible music he can to give to the people of the world. 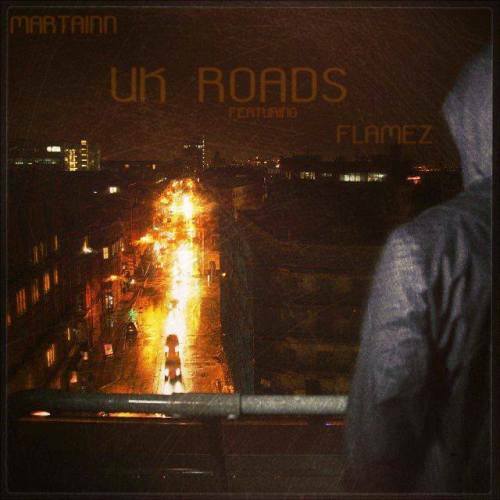 Inspire, entertain and to provoke thought are his main objectives with music, follow Martainn on his journey as he sets out to accomplish his mission. SIP THE JUICE, HEDUCATION & the OOBLECK Proudly announce the impending arrival of New York Hip-Hop legend Pharoahe Monch. Pharoahe is no stranger to SIP THE JUICE, having graced them with his presence twice. Due to selling out on his February date we got him back to meet the high demand for his live show again in November. Pharoahe continues to sell out venues across the globe and once you have seen him live you will know why. His solo career has been meteoric, in 1999 the release of Simon Says (Rawkus) received huge critical acclaim, soaring into the mainstream market and making his first solo album Internal Affairs a success, garnering support of both die hard hip hop followers as well as far broader audiences, that were forced to listen with intent at his unequivocal flows and poetry. Pharoahe released a second album ‘Desire’ in 2007, which included the undeniable anthem ‘Push’ and a cover of Public Enemy’s ‘Welcome to the Terrordome’. Again, Pharoahe showed a side of him that made his followers empathise and relate in ways many other artists haven’t matched. In 2011 his third album W.A.R (we are renegades) began to discuss issues close to his heart and was a thought provoking journey through some of his personal battles, teaming up with soul singing legend Jill Scott for ‘Still Standing’ and the incredible single ‘Black hand side’, this continued to see Pharoahe’s success rise with his intricate rhymes encapsulating younger audiences. In 2014 Pharoahe extended the story of his personal journey with the release of ‘PTSD’ and his continued upheaval with Post Traumatic Stress disorder and ill health, working with hip hop heavy weights Talib Kweli and Black thought, his album echos the velocity with which he delivers his live shows. His anguish and hard work is laid bare in his shows, his lyrical dexterity and deep meaningful flow is captivating. The audience find themselves engrossed and static at points at his jaw dropping honesty and his passion for speaking on taboo topics to then being moved by mass crowd appreciation for tunes like the aforementioned ‘Simon Says’ and ‘F*** you’. 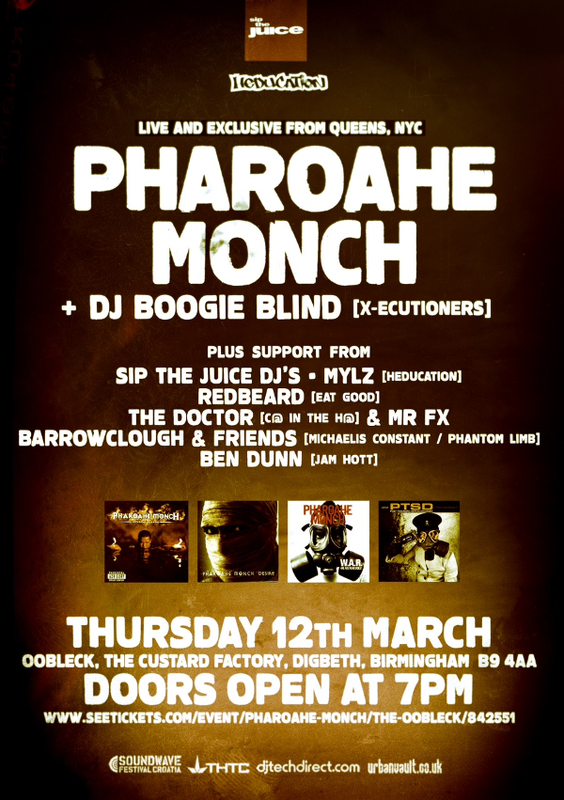 Seeing Pharoahe live is without doubt one of the most incredible events to add to your social calendar this year. Everyone is getting really excited about Rich’s new single “No1” (pronounced “No One”). It’s the first single off of Rich’s first international project “The Everywhere Man” with UK heavy hitter Tricksta. The project features some of Rich’s fan favorites w/ Rakaa Iriscience, Reef The Lost Cauze, Big KRIT and many more along with new songs like “No1” and collabs with artists and producers from all over Europe. The project is to help build Rich’s overseas buzz to prepare for his first European tour this summer. This is also the first time Rich painted his own artwork for a single. ‘No1’ is also the first record we are officially working to radio and it has already been picked up by SiriusXM, college radio and other FM stations across the USA. Regardless of how Hip-Hop has evolved over the years, there will always be a few constants. Despite all of the industries’ smoke and mirrors – from rented cars, ghostwritten hits, and inflated YouTube views – there’s simply no faking the funk for calling yourself a true emcee and not having skills on the mic. One thing that New Jersey’s Rich Quick doesn’t have to worry about is being called out for his mic skills or his credentials. Some of his earliest experiences with music have been teaching himself piano while picking apart the sounds of Coolio’s Gangster’s Paradise when he was 7. Quick certainly hasn’t slept since. Since the release of his debut project, Get Rich Quick, the Jersey upstart has been steadily mastering the tricks of the DIY trade and has built a successful team in his corner. 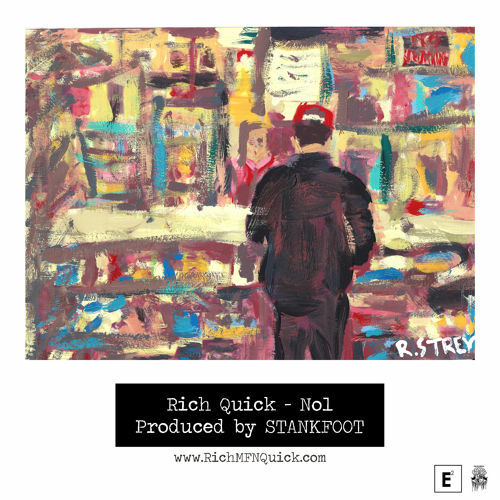 Now older and more refined, Quick has taken his artistry to new heights with the release of “No1” (Pronounced “No One”), the debut single off his forthcoming project, The Everywhere Man, with the UK’s own, Tricksta. “No1” demonstrates Quick’s versatility and storytelling abilities over STANKFOOT’s sunken and head nodding production, which borrows from Ahmad Jamal’s “The World is a Ghetto.” To round out Quick’s artistic expertise, the New Jeruz virtuoso is also the creator for the single’s artwork. The Everywhere Man is set to drop this Spring through Exponent Entertainment. For more information visit RichMFNQuick.com.